Wendy’s is rolling out new menu items, Ghost Pepper Fries and Jalapeño Fresco Spicy Chicken Sandwich, Today for a limited time. This isn’t the first spicy menu item for Wendy’s, but surely its spiciest offering. We all know Wendy’s is just trying to capitalize on the trendy “Ghost Pepper” term. True PepperHeads will scoff at the lack of heat, but this is just a small step in the right direction. If you want true Ghost Pepper heat, you are just going to have to grow your own. Both the fries and chicken sandwich will feature fresh Jalapeño peppers and a Ghost Pepper sauce. The sandwich will cost $4.99 while the fries at only $1.99. Sales at fast food restaurants have been lacking and Wendy’s is trying spice up the market by trying to draw customers in with new limited-time menu offerings. Have you tried Wendy’s Ghost Pepper Fries or Wendy’s Jalapeño Fresco Spicy Chicken Sandwich? Let us know in the comments what you think. 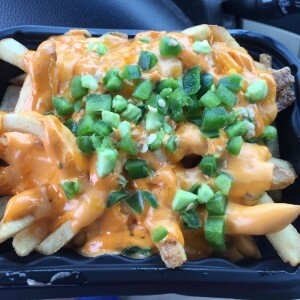 This entry was posted in News and tagged ghost pepper fries, jalapeno fresco spicy chicken sandwich, wendy's. They are a massive disappointment. Tried both products. They should be sued for false advertising. I’m not one of those people that can just gnaw on a habanero and survive to tell the tale. I’m just appreciative of good heat and good flavor. Flavor-wise the product was fine. Heat-wise, didn’t approach serrano peppers. About as hot as high-end jalapenos. Just basic math and comparing the heat, if they did use any ghost pepper, it would have to have been maybe 1 pepper for an entire box of sauce bags. Ghost peppers are famous for one thing, heat. They aren’t particularly known for being flavorful. It’s just the heat. This crap these fast food companies are pulling is ridiculous. If it’s not even habanero hot, don’t call it ghost pepper hot. The only fast food product I tasted recently that was actually hot was Taco Bell’s DareDevil Loaded Griller. The Ghost Pepper one was actually habanero hot. Still mislabelling, but genuinely the hottest fast food I’ve ever tasted. Their habanero one was about as hot as a serrano. 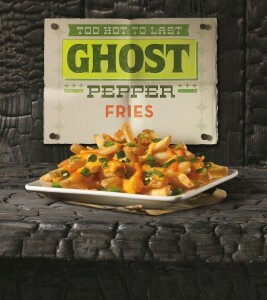 I completely agree, these fast food chains are diluting the name of Ghost Pepper, which I think could actually do harm. These people are going out and eating these “Ghost Pepper” fries and burgers and they actually think they can handle the heat. What happens when someone tries a real Ghost Pepper thinking they can tolerate true heat? I personally tried these and they didn’t have any more heat than common chili powder.